The Faculty of Law is putting a number of initiatives in place to highlight and promote gender equality and is working towards applying for the Equality Challenge Unit (ECU) Athena SWAN Bronze Charter in November 2019. 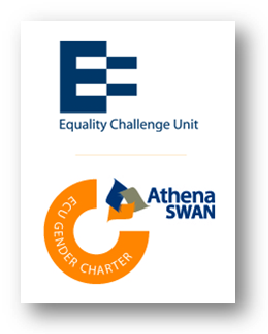 The Athena SWAN Charter was established by the Equality Challenge Unit in 2005 to encourage and recognise commitment to advancing the careers of women in STEM employment in higher education and research. In May 2015 the charter was expanded to recognise the work undertaken in arts, humanities, social sciences, business and law (AHSSBL), and in professional and support roles, and for trans staff and students. The charter now recognises work undertaken to address gender equality more broadly, and not just barriers to progression that affect women. The Athena SWAN Charter is based on ten key principles. By being part of Athena SWAN, the Faculty of Law is committing to a progressive charter; adopting these principles within our policies, practices, action plans and culture. We commit to addressing unequal gender representation across academic disciplines and professional and support functions. In this we recognise disciplinary differences in the relative underrepresentation of women in senior roles. We acknowledge that advancing gender equality demands commitment and action from all levels of the organisation and in particular active leadership from the Chair of the Faculty and those in senior roles. We commit to making the mainstreaming sustainable structural and cultural changes to advance gender equality, recognising that initiatives and actions that support individuals alone will not sufficiently advance equality. If you have any concerns, comments or suggestions surrounding gender equality at the Faculty, please contact athenaswan@law.cam.ac.uk.